Finding Balance Between Work and Personal Life | E Sue Huff & Associates Inc. Some studies have found that a poor work-life balance can result in unhealthy levels of stress, unhappiness, and even reduced productivity. Prioritizing between your work and personal life is extremely important. Balancing these two things is important to living longer, healthier, and happier. E. Sue Huff & Associates has made a commitment to living a healthier life and committing to a healthy work-life balance by joining the Blue Zones Project®. The Blue Zones Project is a community-wide well-being improvement initiative to help make healthy choices easier for everyone in Southwest Florida. This initiative is helping transform communities across the U.S. into areas where the healthy choice is easy, and people live longer with a higher quality of life. The organization encourages changes to our community that lead to healthier options. Every change that is made contributes to huge benefits for all of us: lowered healthcare costs, improved productivity, and ultimately, a higher quality of life. Blue Zones encourages individuals to achieve healthier lifestyles through participating in daily exercise, living with purpose, finding stress relieving strategies, eating mindfully, participating in faith-based community, investing time with family, and surrounding yourself with friends who support you. 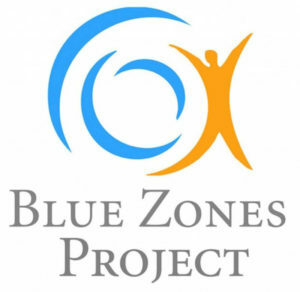 For more information about Blue Zones Project® visit southwestflorida.bluezonesproject.com. We hope you will make the commitment to a better work like balance too. Check out their website and their Vitality Compass assessment.